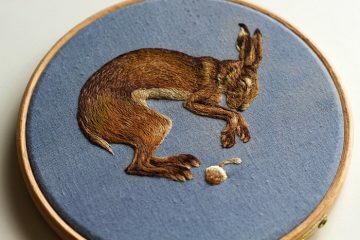 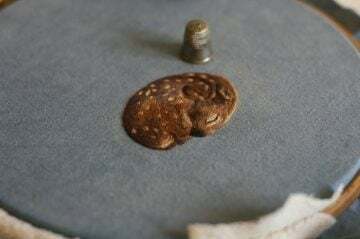 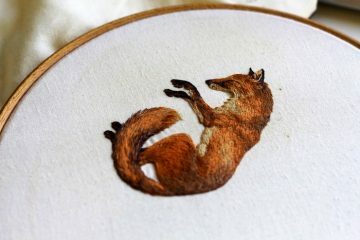 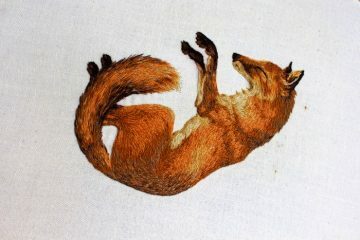 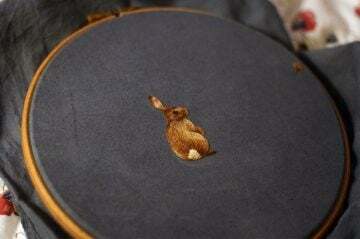 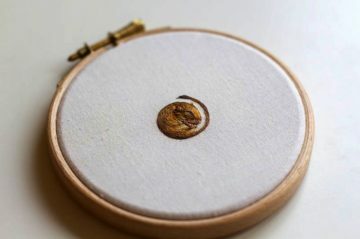 Oxford-based artist Chloe Giordano creates impressive tiny embroidered animals that have a 3D quality. 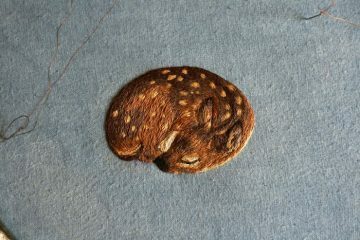 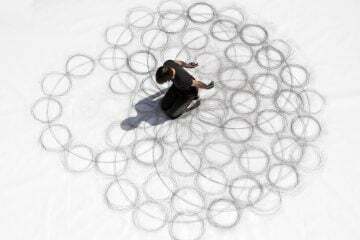 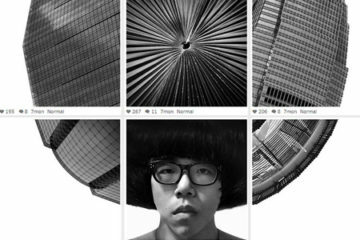 From a hare to a sleeping fawn, most of her pieces aren’t bigger than a thumbnail. 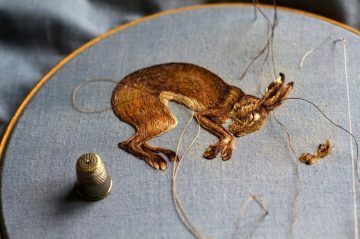 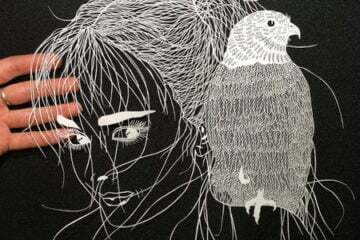 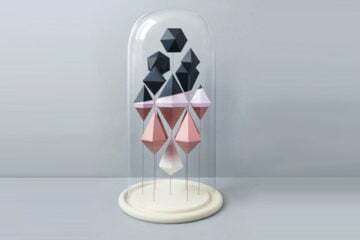 Giordano, who has an illustration background, typically works from a detailed sketch and the embroidery is made by packing the stitches together.